The Crown Jewel is a thoughtful and imaginative store featuring jewelry, art, decor and gifts. The backdrop of fine art on the walls perfectly sets the tone for the other treasures to be found here. 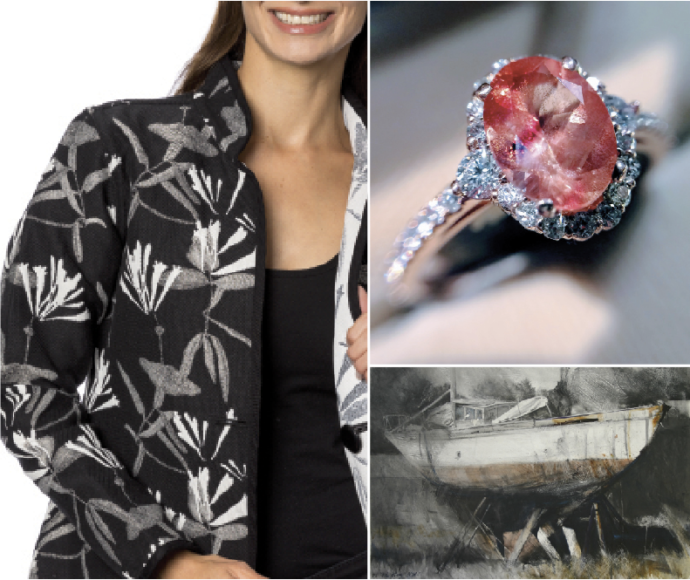 Meaningful and special gifts include the local gem Oregon Sunstone, rare estate jewelry, artisan jackets made in the USA, and an extensive selection of letterpress cards and journals. 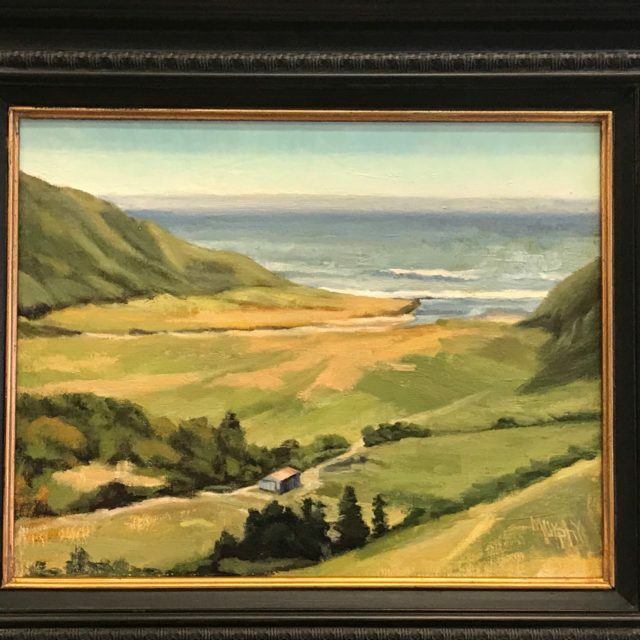 Plein Air painter Michelle Murphy Ferguson will be displaying recent oil paintings through the end of December, including several pieces that received awards at the Monterey Bay Plein Air Competition.